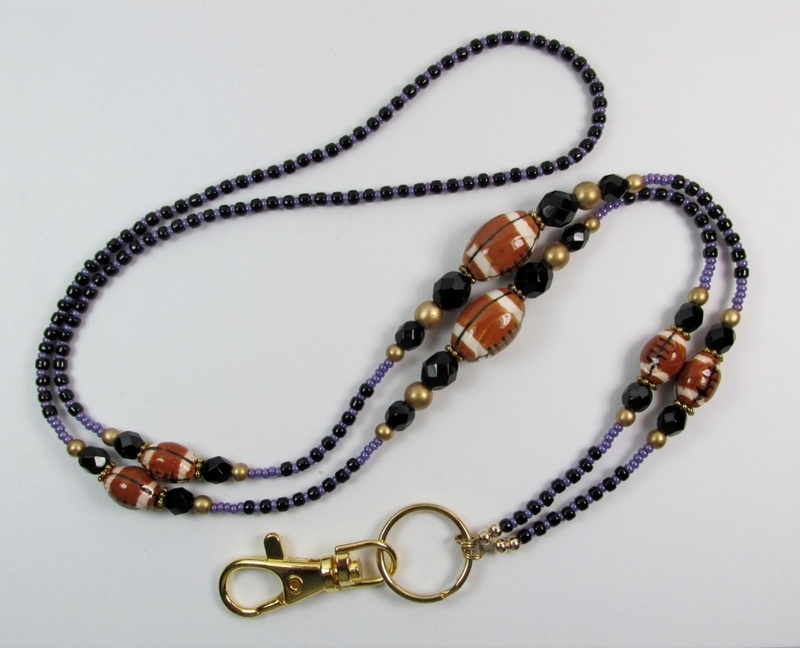 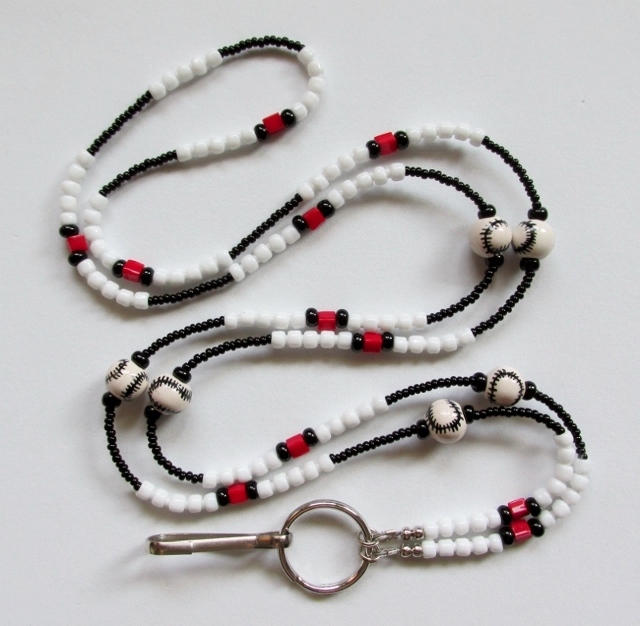 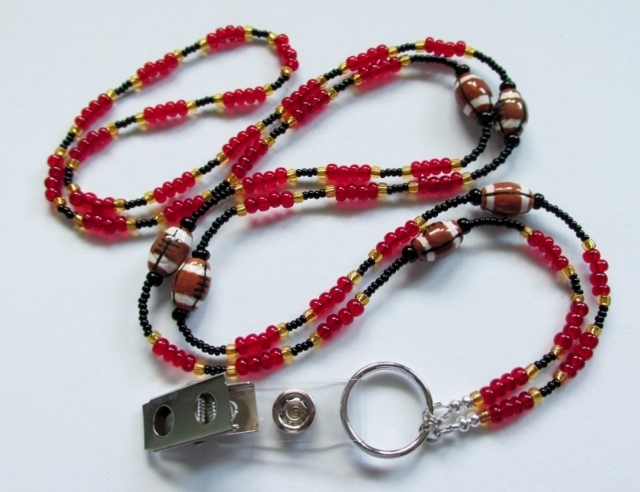 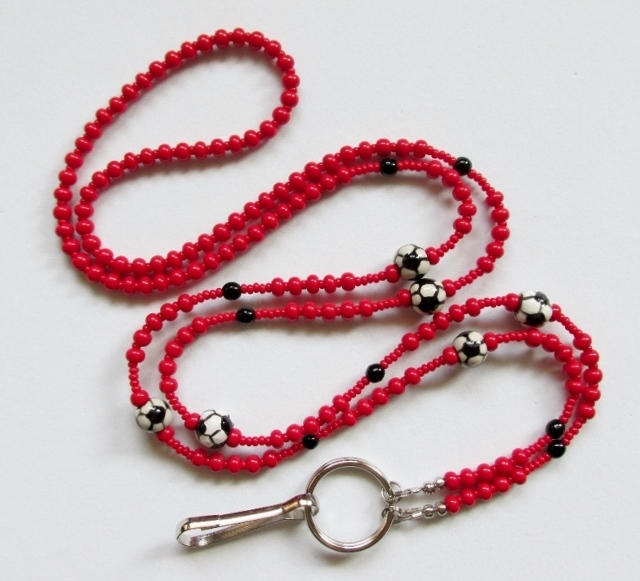 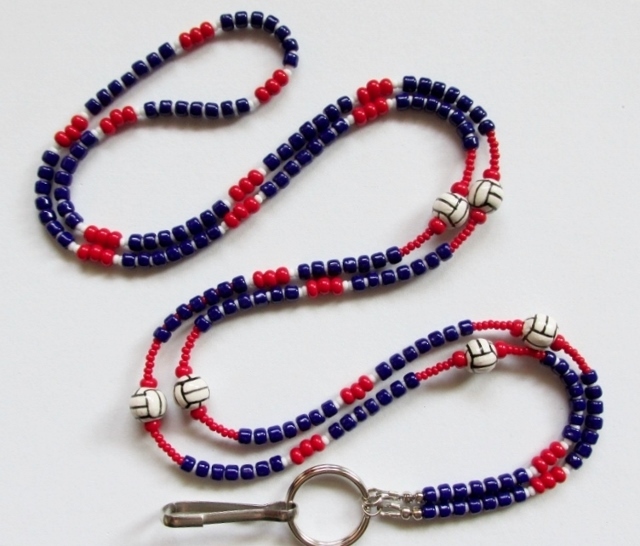 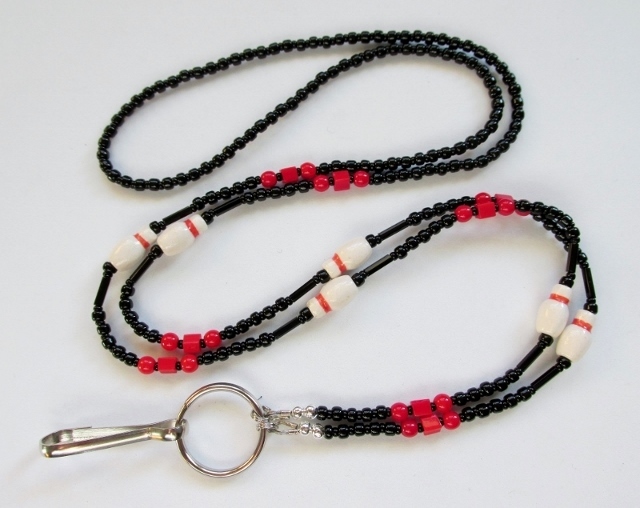 Cheer on your favorite team or support your special student by displaying their school colors with a sports-themed, beaded badge holder necklace. 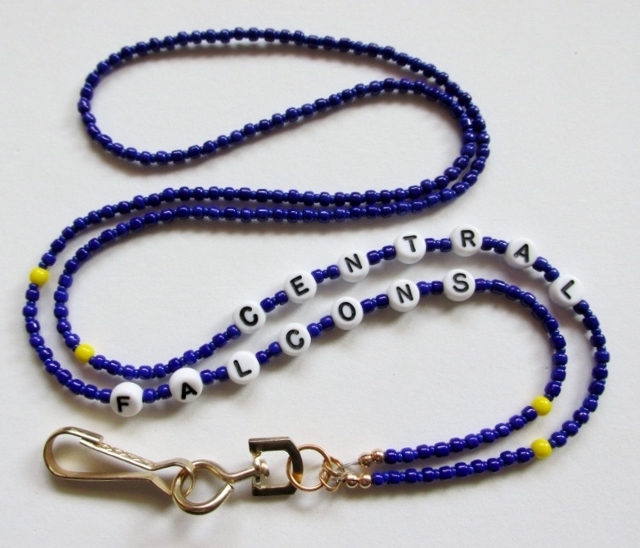 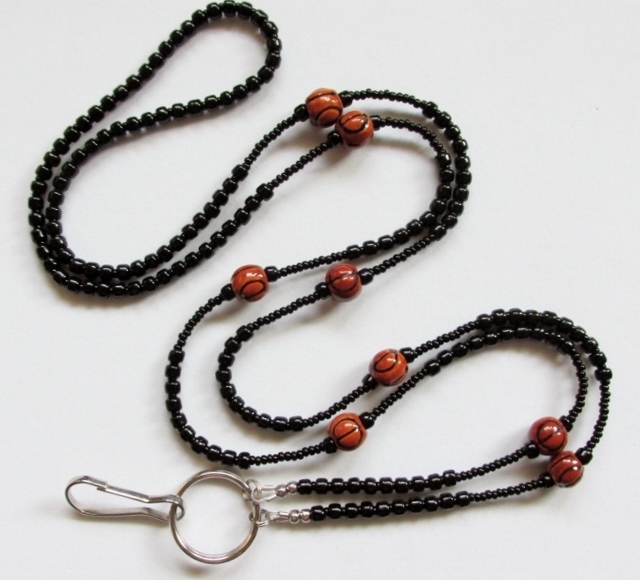 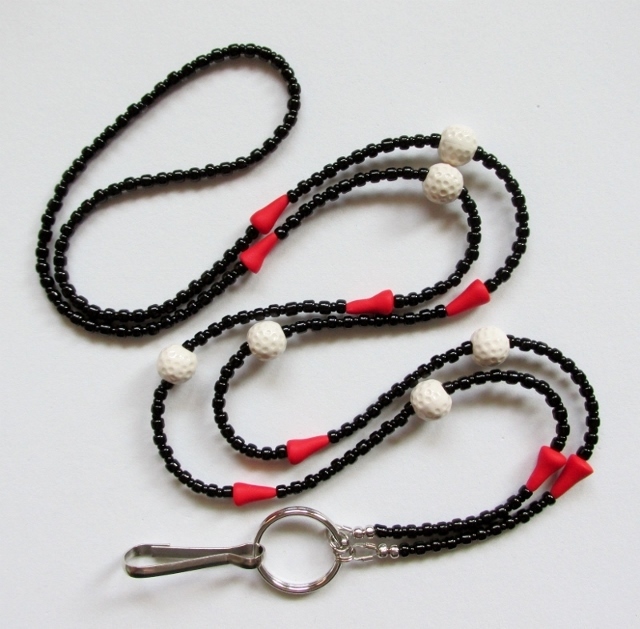 These ID lanyards also make a great gift for an avid sports fan or a favorite teacher or coach. 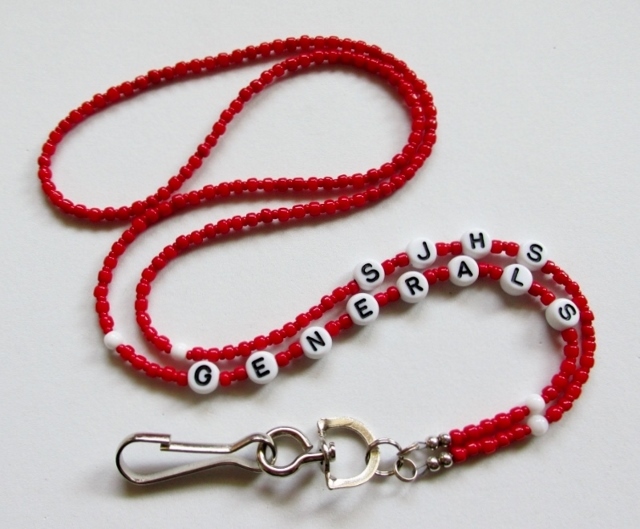 If you would like a badge holder like this one featuring your local school colors or name feel free to email me with your request.